How Do Birds Decide on a Birdhouse? What Type of Birdseed Do Sparrows Dislike? Birdhouses, also known as nesting boxes, allow birds to have a safe, solid and secure area to build a nest and raise their young. Often birdhouses can be placed in areas of your yard that allow you to view the family of birds from a window, deck or other viewing spot. Research your desired species to determine which type of house to put up and where to place it. 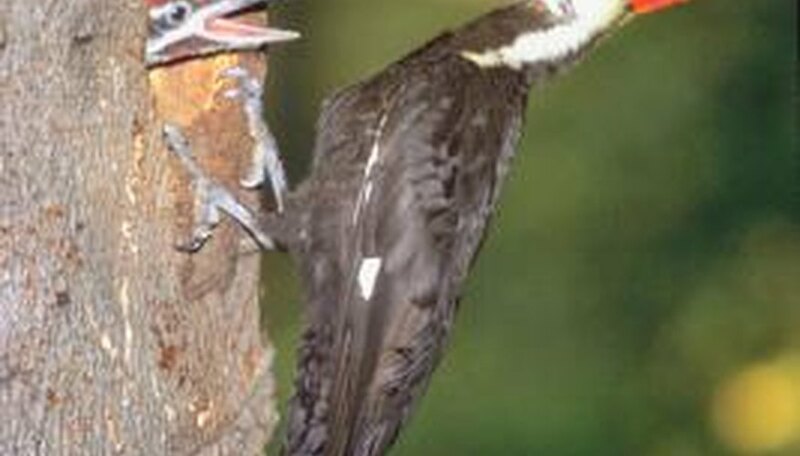 In the wild, many birds use old cavities in trees as nesting sites. 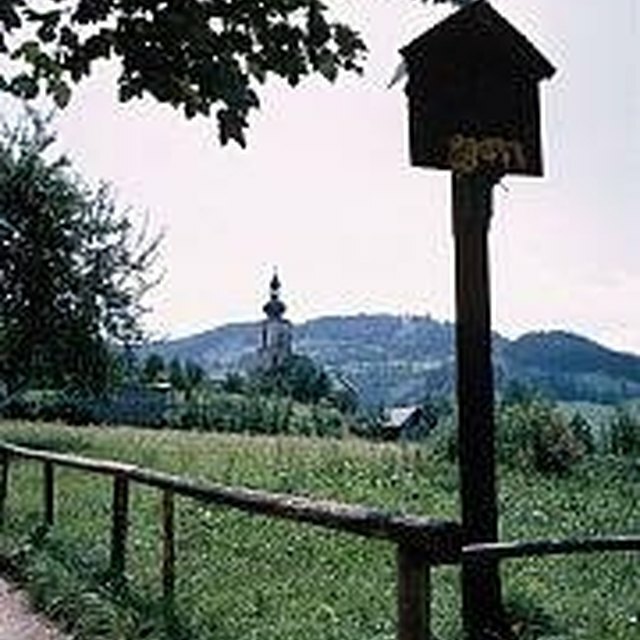 Birds that nest in birdhouses are called cavity-nesters or hole-nesters. They prefer a secluded hole as opposed to a bush, tree branch or other open area. In the wild, many of these species will nest in old woodpecker holes, tree cavities and sometimes in odd places such as open-ended pipes. Purple martins and bluebirds are two species that people actively try to attract to their yards. Other cavity-nesters include woodpeckers, chickadees, nuthatches, several species of wrens, starlings, some finches, owls and sparrows. Use the correct type of house for the species you desire to attract. The house should also have the correct size, color, hole size and location to attract desired species. Bluebirds, for example, will prefer a nesting box that is 4 to 6 feet above the ground and facing an open field. 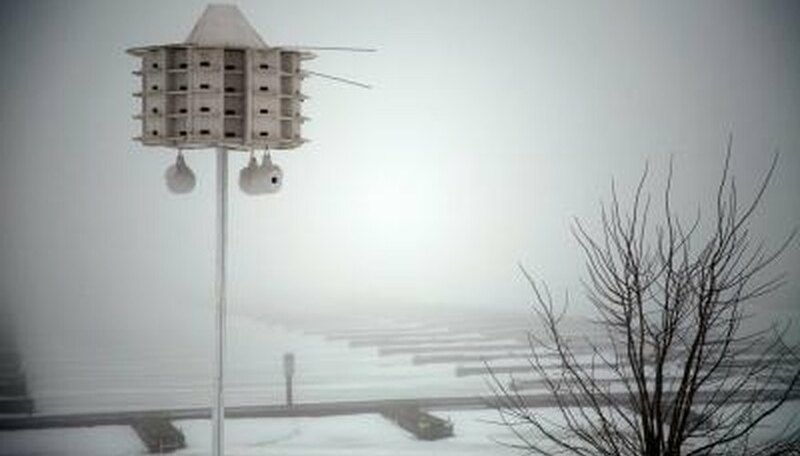 They also prefer an entrance hole of approximately 1 1/2 inches in diameter that is placed 5 inches above the floor Purple martins, on the other hand, prefer a house with several rooms in which other purple martins can nest as well. For them, you will need a very high pole for the birdhouse, and it will need to be a considerable distance from tall structures such as trees or homes. Consider putting out several birdhouses of the same type to give the birds a choice. Like humans, they may prefer the location of one house over another. Keep in mind that many species of cavity-nesters are territorial and will not like other members of the same species nesting within a certain distance Finches are territorial of the area surrounding the birdhouse; bluebirds have a territory size of 2 1/2 to 5 acres. Sometimes, the territoriality extends to members of different species, as well. Bluebirds and flycatchers do okay together because they have different feeding habits, with the flycatcher catching flying insects and the bluebirds often feeding off the ground Put out the right kind of food in bird feeders to help attract birds. No matter how hard you try, you may not attract your desired species. Also, if the hole size is large enough, you may find that starlings beat your bluebirds to the house or a similar story. Predators such as raccoons, owls and others may find your nesting boxes and be delighted at the free meal of eggs or hatchlings. To minimize the risk of these and other problems, always build your birdhouses for a specific species. 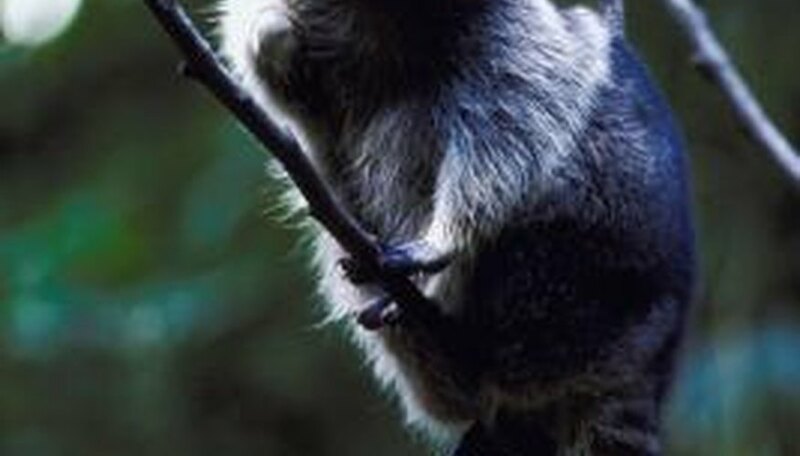 Online resources such as universities have do-it-yourself plans for various species. 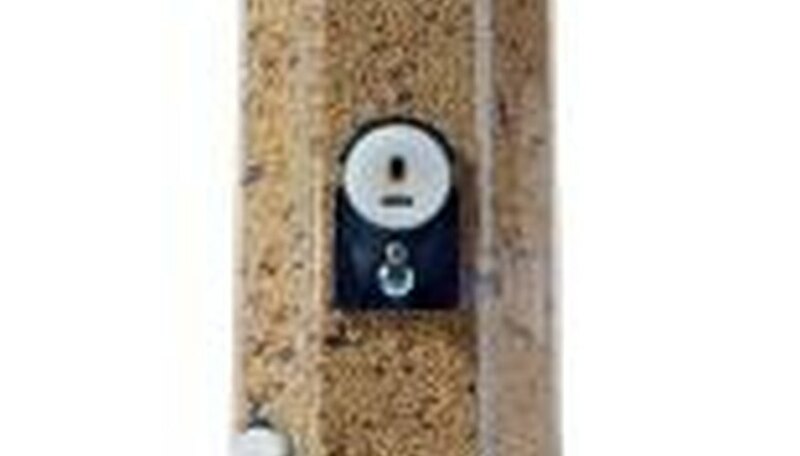 You can also purchase pre-made birdhouses from garden centers, hardware stores, pet stores and big-box stores. What Size Birdhouse Opening for a Finch? What Kind of Birdhouses for Colorado?